When you first meet Ignite, they exude ambition and they radiate a sense of selflessness. They have a humility to them that is palpable and ensured you that their intentions are genuine. Gadi Zimmerman, Cameron Kaczor, and Trent Reardon are running in this year's TSG election. Greeted by firm handshakes from each of the team members, we got to talk about their platforms and how much they want to help better Temple as a whole. 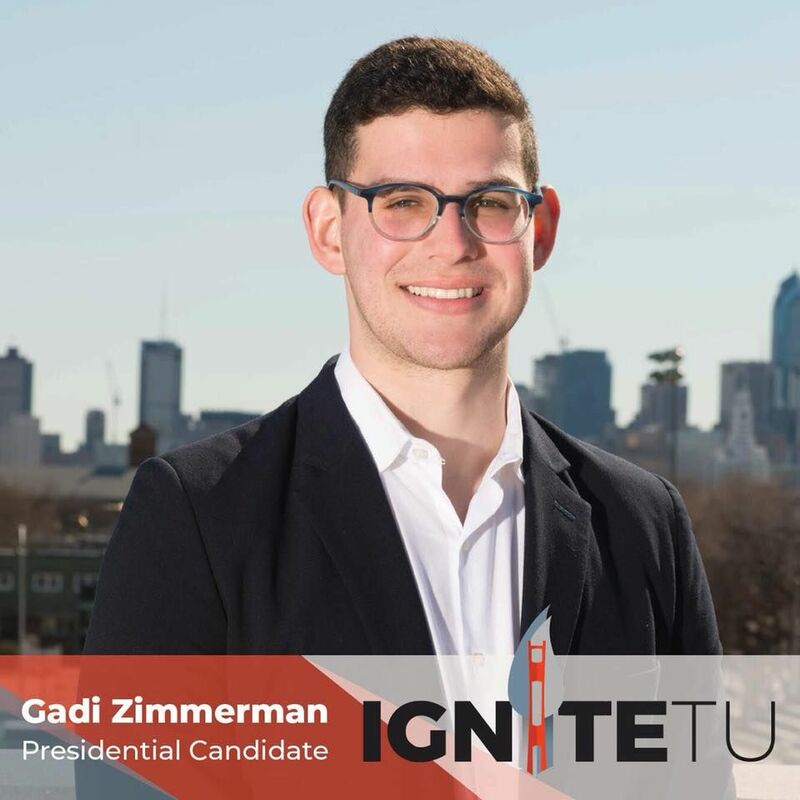 Having served as President of the Temple chapter of Challah for Hunger, a student run organization aimed at combatting student hunger and homelessness, Zimmerman takes it upon himself to be a vocal advocate for changes to access to meals for students as well as ensuring housing security. He hopes to use the knowledge he gains as a financial planning major here at Temple to assist families in planning for their retirements as well as fulfilling educational aspirations. 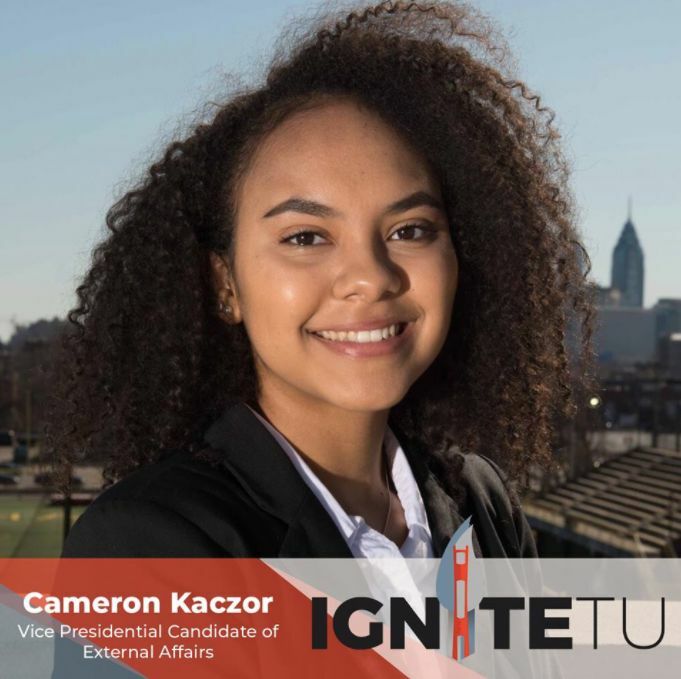 Currently serving as the Secretary and emcee for TSG general assemblies, Kaczor has also served as a mentor in TSG's Peer Mentorship program. Kaczor has been an adamant proponent of the team's push to get rid of TSG general assemblies. Reardon serves in the current TSG administration as a promotions manager, which makes sure that TSG's events are publicized. He also worked as peer health educator in the Wellness Resource Center, which drives his passion for curbing sexual assault as well as proliferating access to mental wellness resources around campus. This team is looking to #SparkTheConversation through improvements to various services around campus. 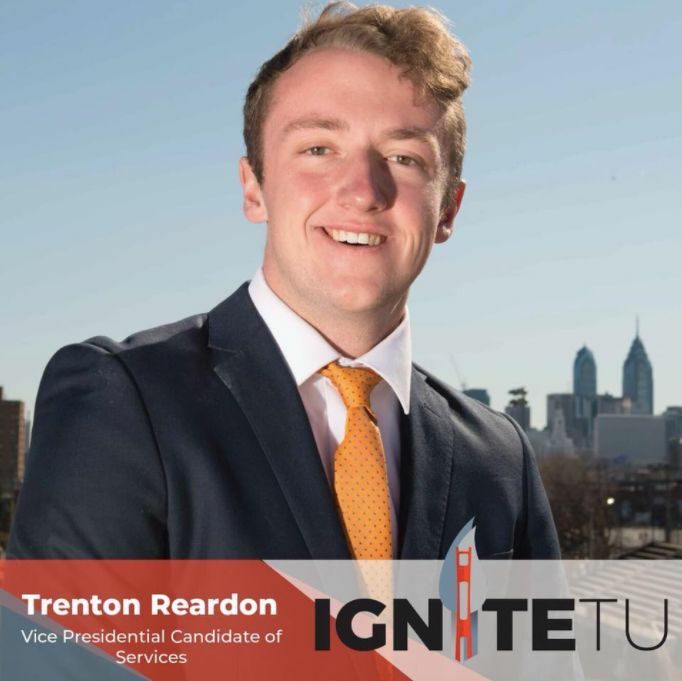 We asked them what inspired them to run for Temple's highest student office. Their team was prompted to run by the feeling that their ideas would be best projected as a TSG administration. One of the main campaign initiatives for Ignite would be food security for students. Ignite feels that food insecurity is an issue that is universally seen as a prescient problem, however, is one that goes generally underrepresented. Zimmerman noted that "People don't know its an issue on campus, once you really find out the statistics of it, you really start to see the problem as a whole." Ignite is also the only campaign that is pushing for the discontinuation of TSG general assemblies, also known as "GA's." The team takes an unambiguous stance on the issue by saying "..smaller orgs that can't necessarily make the meetings are put at a disadvantage because they're punished by TSG for not being able to do something they're not able to." Kaczor noted that as TSG Secretary, she is the emcee of the GA's and believes they're not the most effective tool for communicating campus events and TSG happenings. Kaczor said "I see how ineffective they are, I make the slides that students sit through but don't retain… I get emails every week from organizations that only have three e-board members saying how unfair it is that they'll lose allocations for missing these meetings." 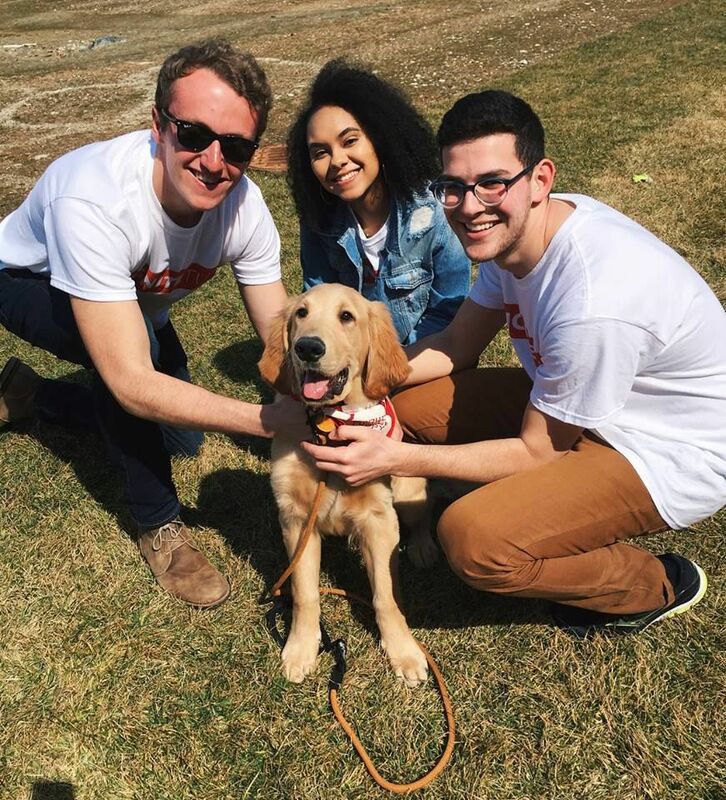 The IgniteTU team with their official campaign pup named Earl. Ignite also plans on proliferating mental health resources on campus as well as implementing a "Mental Wellness Week." This week would serve to expose incoming freshmen to what resources are available to students on campus as well as creating an atmosphere in which it's OK to talk about mental wellbeing and other ways students can assist students. Ignite says their first order of business would be reforms to Parliament. The team believes that Parliament is an important first step to creating a better TSG as the foundation for student voices. When asked for one reform they would like to see be implemented with Parliament, they noted that they would like to make the members aware of the sharing of the TSG budget with them. They noted that there is a budget that is shared with members of Parliament but that most members are unaware of this fact. Voting starts on April 4th and 5th via uvote.temple.edu.